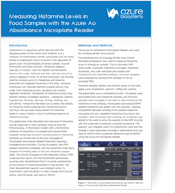 Assaying your 96 well plates just got easier. Designing an experiment can be hard – but using your equipment shouldn’t be. 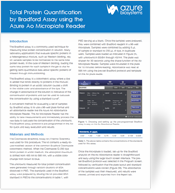 A microplate reader is an essential part of a productive lab, with its application flexibility, sensitivity, and high-throughput capabilities. 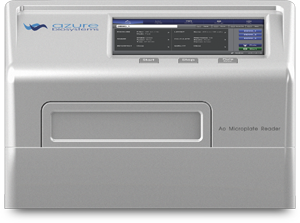 The Ao Absorbance Microplate Reader offers a simple user interface that is normally only found on more expensive systems. 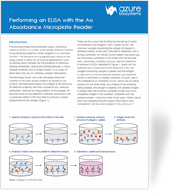 Its absorbance-based reading offers maximum sensitivity, the best read speeds for kinetic assays, high flexibility, and lower cost compared to fluorescent and luminescent-based readers. 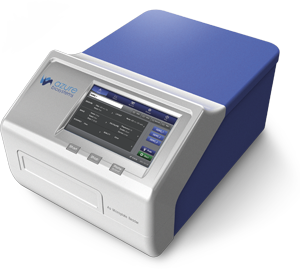 Its top-reading design is ideal for solution-based assays such as ELISAs, DNA and protein quantification, and enzyme kinetics. Copyright © Azure Biosystems, Inc.